Given the frenzy surrounding her highly anticipated 8th studio album, Rihanna decided to give fans a majorly stylish tease on Twitter. 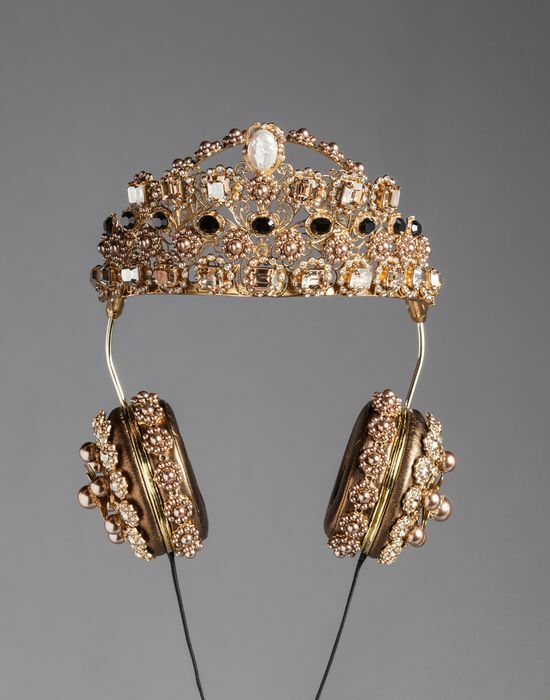 “listening to ANTI,” the pop star tweeted, along with an image of her rocking a pair of Dolce & Gabbana Crown Headphones that retail for $8,895.00. 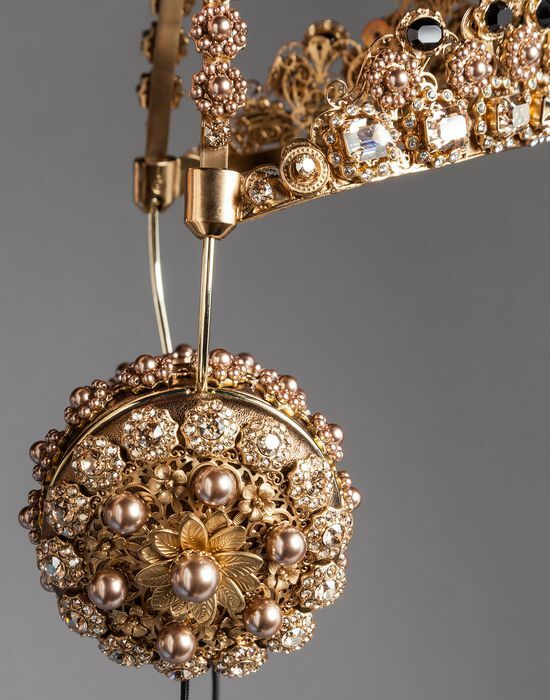 The crown and padded headphones combo comes adorned with metal, pearls, Swarovski crystals. Shop, if you dare, at Dolce & Gabbana. 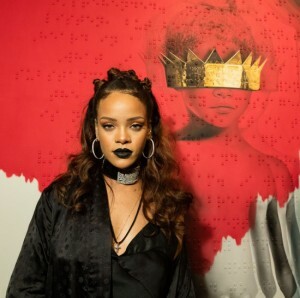 Rihanna’s ‘ANTI’ Album Leaks On TIDAL. Rihanna Collaborates With Dior for a Space Age Sunglasses Collection. 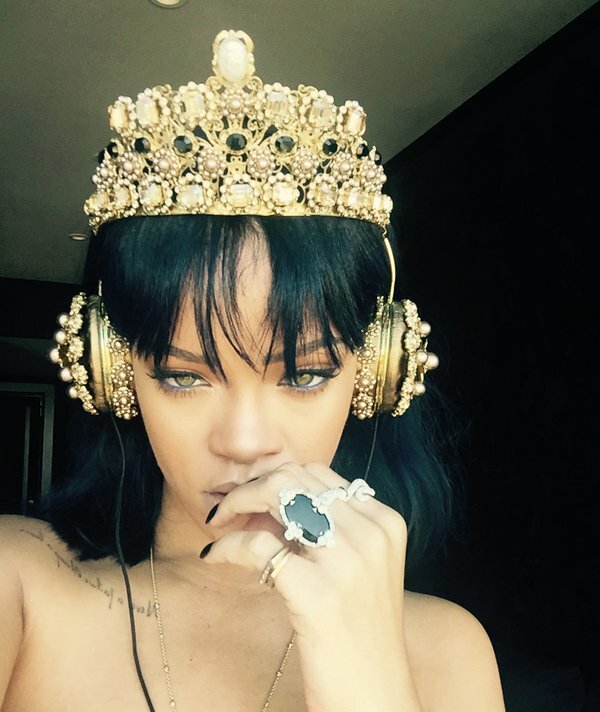 Rihanna Takes a Self-Portrait for the Cover of The FADER’s 100th Issue. Rihanna Covers Vanity Fair. Talks Rachel Dolezal and Opens Up About Chris Brown.